CLASS - BURKE As Built. 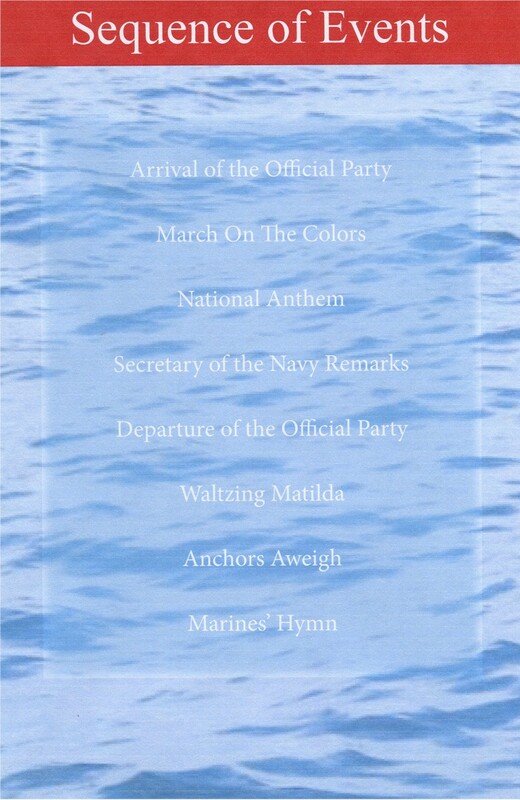 Named by SecNav Aug 16 2016. 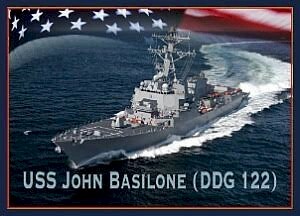 71k John Basilone was one of a family of ten children. Born in Buffalo, New York, on November 4, 1916, to Italian parents, he went to St. Bernard Parochial School in Raritan, New Jersey and enlisted in the United States Army at the age of 18. After completing his three-year enlistment in the Philippines, where he was a champion boxer, he came home and went to work as a truck driver in Reisterstown, Maryland. 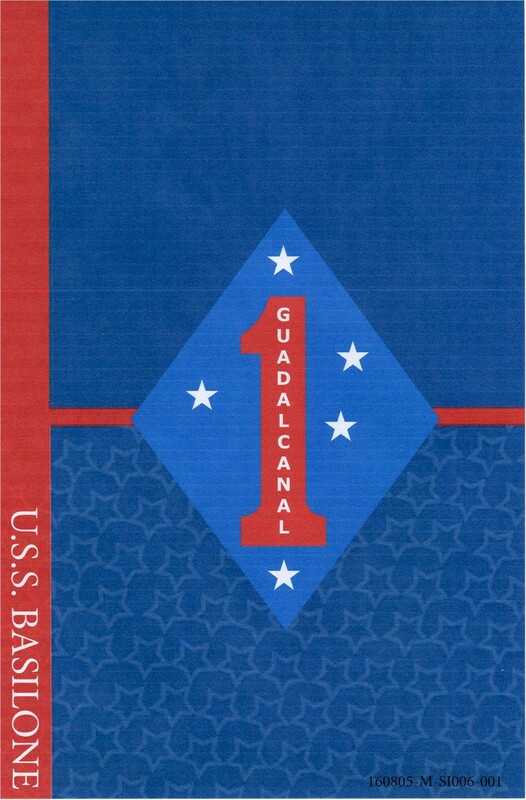 In July 1940, he enlisted in the U.S. Marine Corps in Baltimore, Maryland, believing that he could return to Manila quicker with the Marines than with the Army. 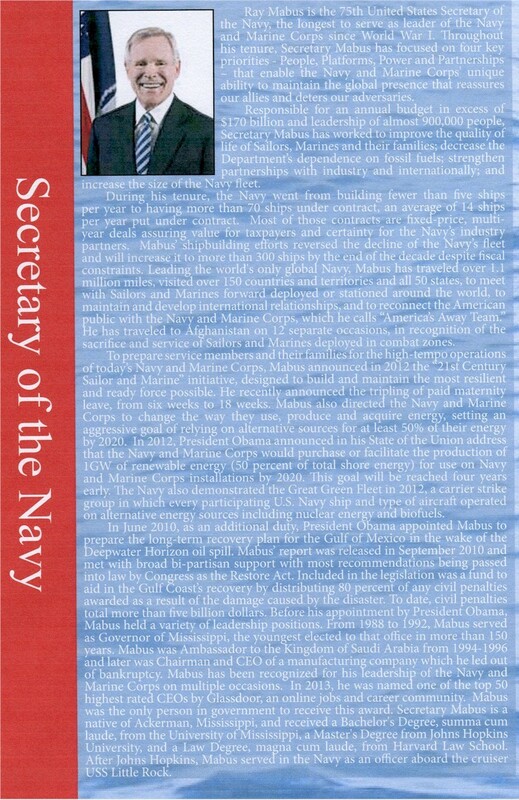 Before going to the Solomon Islands he saw service at Guantanamo Bay, Cuba, in addition to training at the Marine Corps Base Quantico, Marine Corps Recruit Depot Parris Island and Camp Lejeune, then called New River. 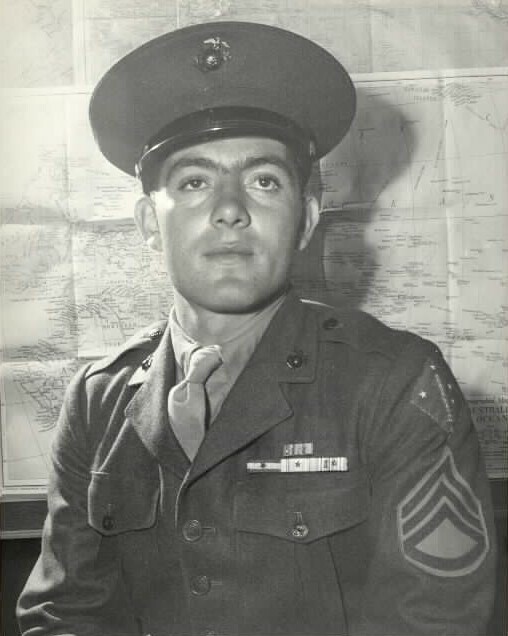 Gunnery Sergeant Basilone's buddies on Guadalcanal called him "Manila John" because he had served with the Army in The Philippines before enlisting in the Marine Corps. Private First Class Nash W. Phillips, of Fayetteville, North Carolina, recalled him from the battle for Guadalcanal: "Basilone had a machine gun on the go for three days and nights without sleep, rest or food". "He was in a good emplacement, and causing the Japs lots of trouble, not only firing his machine gun but also using his pistol." 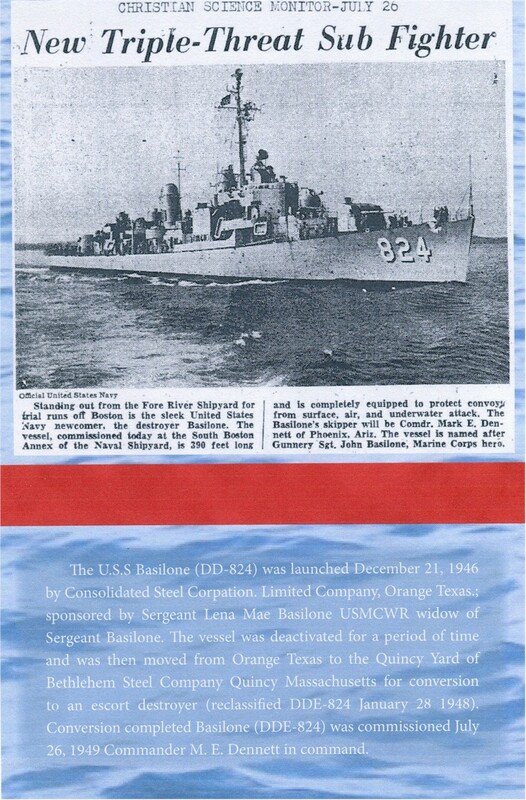 Basilone was returned to the States and participated in a War Bond Tour. Medal of Honor recipients are generally not allowed to return to combat. 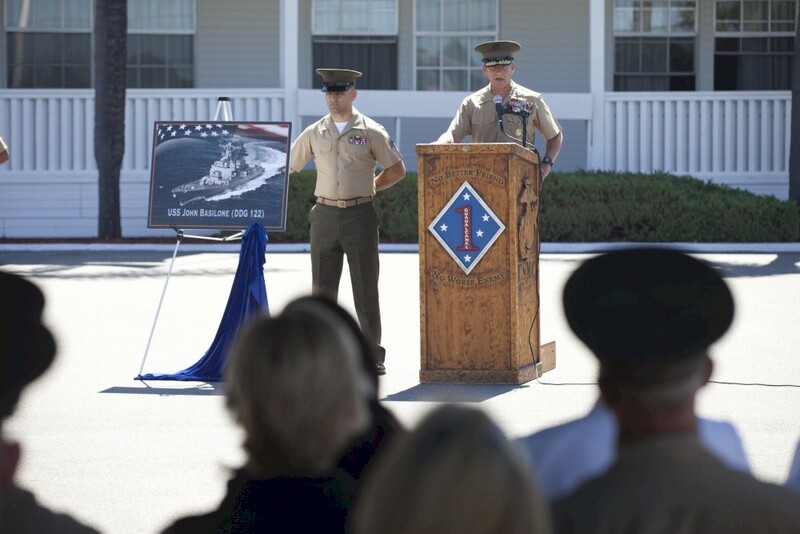 However, Basilone requested a return to the fighting in the Pacific theatre. 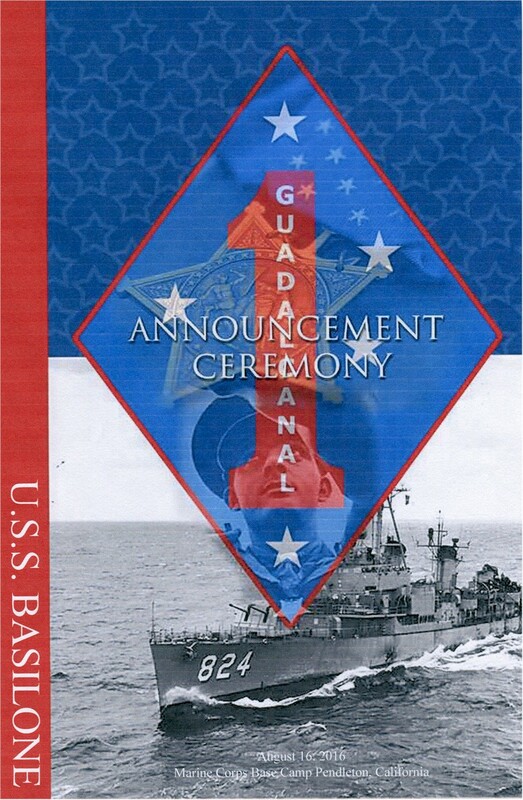 Basilone was serving with the 27th Marine Regiment, 5th Marine Division during the invasion of Iwo Jima. 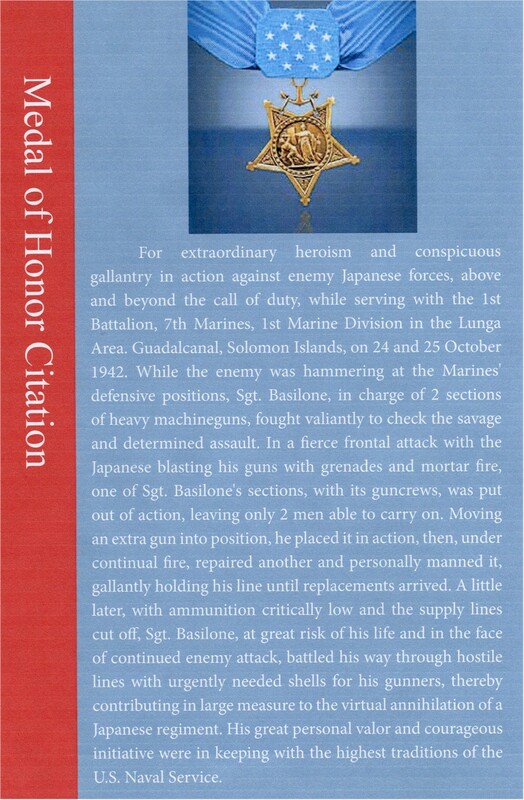 On Red Beach II, he and his platoon were pinned down by enemy gunfire. He single-handedly destroyed an enemy blockhouse, allowing his unit to capture an airfield. Minutes later he was killed by an enemy artillery round. 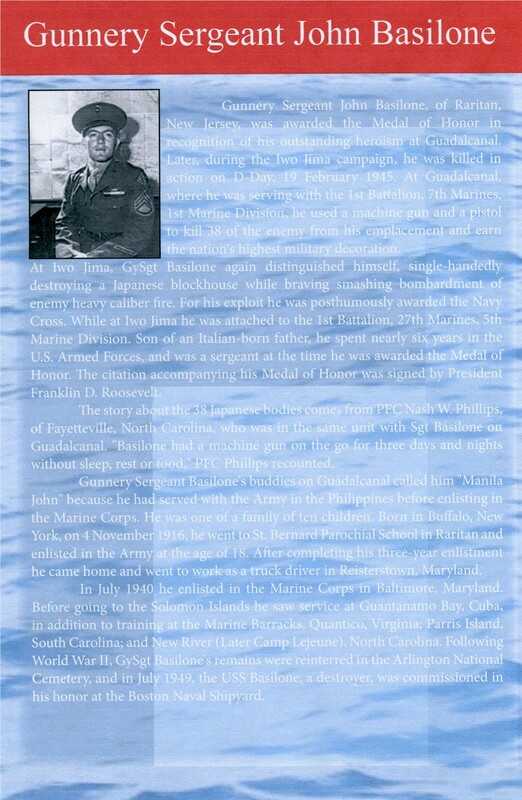 He was the only enlisted Marine in World War II to receive the Medal of Honor and the Navy Cross, as well as a Purple Heart. 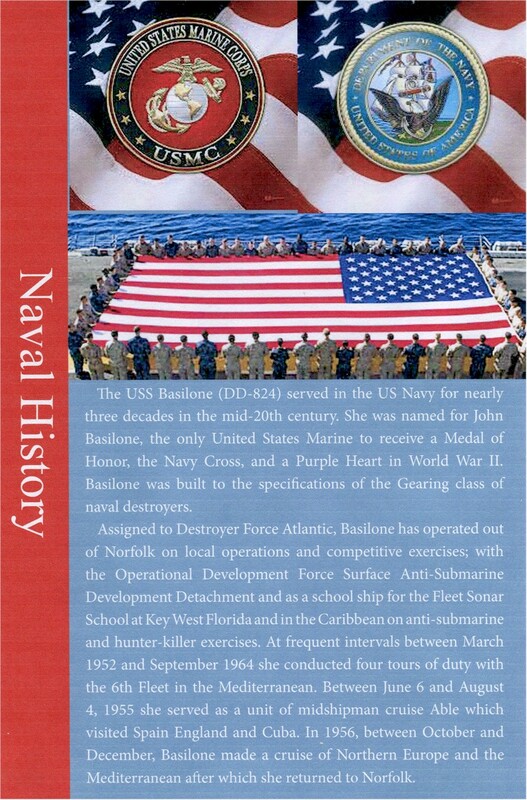 John Basilone is buried in Arlington National Cemetery in Virginia.